DanRic Homes is proud to announce that we are Now Building new homes for sale in North Pointe subdivision in beautiful LaGrange, Georgia! Located just 3 miles from the LaGrange Mall & Hobby Lobby, just 5 miles from Downtown LaGrange, and just 7 miles from the new Great Wolf Lodge; North Pointe features new homes ranging in size from 1300 sq ft to 2600 sq ft and starting in the $140s. This new home community boasts beautiful rolling hills with sidewalks, street lights and underground utilities. We have listed several new homes for sale in this community, click here to view our available inventory. Call our Sales Assistant, Tammy Bailey, at 706-882-7773 or 706-594-2453 and ask her if you can still choose your colors! Categories: Homes for Sale, LaGrange GA, Stoney Creek | Posted: September 27, 2017 | Comments Off on New home for sale in LaGrange, inside the City Limits! “The Begonia” is now move-in-ready and for sale at Stoney Creek! This charming 3 bedroom, 2 bath home features a living room / dining combo, perfect for entertaining guests. The kitchen features granite countertops, an island breakfast bar, pantry and Frigidaire appliance package. Just off the kitchen is the separate laundry room and the rear foyer which leads to the rear-entry 2-car garage. The private master suite of the home features a bath with double vanity and large walk-in closet. Also included are two additional bedrooms and a full bath. Absolutely adorable home in a great location just off New Franklin Road. Give us a call today to tour this home or inquire about building a home on one of our available home sites in Stoney Creek of LaGrange. View more information on our website here. 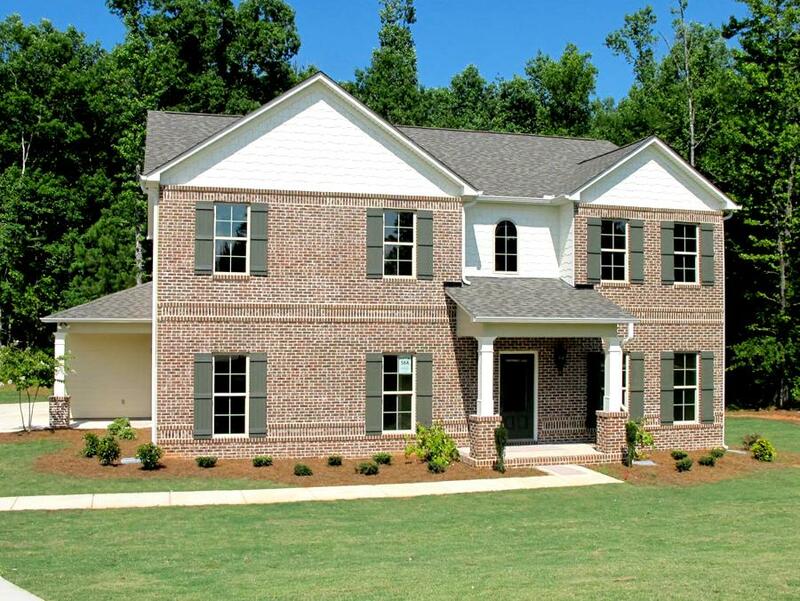 Categories: Homes for Sale, LaGrange GA, Stoney Creek | Posted: August 22, 2017 | Comments Off on Brand new home for sale in the LaGrange High School Zone! This 3 bedroom, 2 bath home is now move-in-ready in our fast-selling community, Stoney Creek, which is located just off New Franklin Road inside the city limits! View the price and the floor plan here. Give Tammy Bailey a call today at 706-883-3484 or 706-594-2453 before this one gets away! Categories: Homes for Sale, LaGrange GA | Posted: August 15, 2016 | Comments Off on The Daffodil – Now for sale Lakemont! One of our most popular 4 bedroom floor plans has just been released for construction at Lakemont in LaGrange, Georgia and is now for sale! This lovely home features features a rocking chair front porch and and very open and inviting floor plan, perfect for the entertainer! This spec home offers many upgrades including Painted Cabinets, Granite Countertops & Stainless Steel Appliances in the kitchen, and Luxury Vinyl Tile in the family room, kitchen, breakfast & hallways. Located off the kitchen is a spacious covered back porch with a wood burning outdoor fireplace. The private owner’s suite includes a large walk-in closet and a bath that features a garden tub, walk-in shower and double vanity. The other side of the home includes three additional bedrooms and a full bath. The garage entrance of the home features a custom built-in “drop zone” which includes a shoe bench with hooks above – perfect for stashing books, bags, keys & shoes. Also included is a separate laundry room. This home is located on the north side of Troup County inside the LaGrange High School District, near West Point Lake! Framing on this home is scheduled to begin on 9/20/16. Call our Sales Assistant, Tammy Bailey at 706-594-2453 or 706-883-3494 for more information and be sure to ask her how you can purchase this home with NO MONEY DOWN! 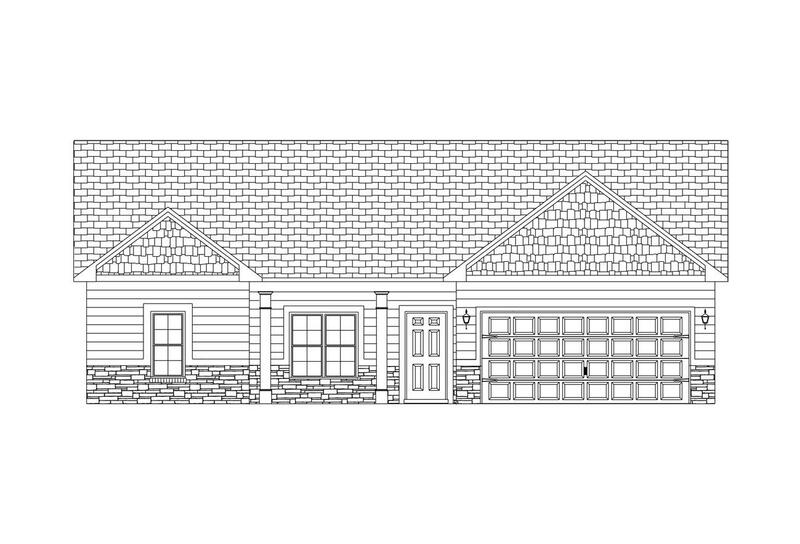 This absolutely charming floor plan has just been improved and now boasts over 2200 square feet of living space! The open living room and kitchen with hardwood floors flowing throughout gives this home a very open and inviting feeling. The kitchen features granite countertops, ceramic tile backsplash, an island, breakfast bar and stainless steel appliances. The master suite, located on the main level of the home, features a large walk-in closet and a private bath with garden tub, separate shower with door and a spacious double vanity. Upstairs you’ll find an additional four bedrooms, a lovely Jack & Jill bath and a large media/play room. This home also includes an alarm system, in-ground sprinkler system, smooth ceilings, ceramic tile floors in the bath and laundry, Frigidaire appliances, a designer mailbox and more. The seller pays up to $3500 towards closing costs with full contracts. PLEASE CALL MICHY AT 904-553-8251 FOR MORE INFORMATION. *floor plan and elevation are artist’s concepts and may vary from actual plan. All information herein subject to error, omission and/or change without notice. Great Wolf Lodge is Coming to LaGrange, Georgia! Categories: LaGrange GA, Things to Do | Posted: June 22, 2016 | Comments Off on Great Wolf Lodge is Coming to LaGrange, Georgia! Rendering of The Great Wolf Lodge planned for LaGrange. Image Copyright to The Great Wolf Lodge. Very exciting news came this week for residents of LaGrange, Georgia and surrounding areas! The Great Wolf Lodge, America’s largest family of indoor waterpark resorts is coming to Georgia! The facility, which is scheduled to open in 2018, is expected to include a 93,000 square foot indoor waterpark, an outdoor play area, bowling lanes, an arcade, and 456 overnight luxury suites. This $170 million dollar project is expected to bring 500 jobs for the community and 500,000 visitors annually to the area!